*Caution: Turmeric may slow blood clotting, thereby individuals who consume anti-coagulants need to be careful about adding turmeric to their diet. *Caution: Omit black pepper for individuals who have intestinal ulcers, as this ingredient can make small incisions in the bowels of individuals with Crohn’s disease. Add all ingredients (except raw honey) to a saucepan and whisk to combine. Apply medium heat until mixture starts to bubble. Turn heat down and simmer for approximately 5 minutes. Strain out ginger. Add raw honey and stir. Enjoy before bedtime! 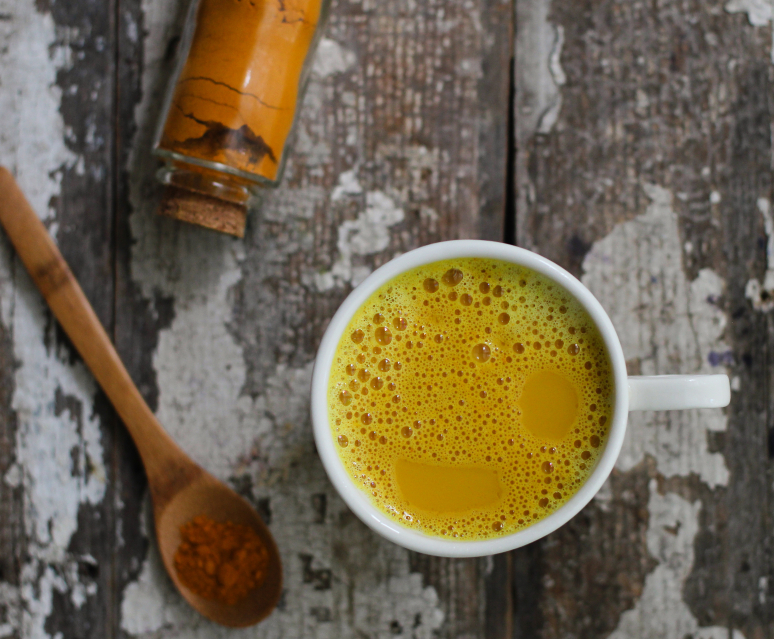 In a small jar, combine 3 tablespoons turmeric, 2 teaspoons black pepper, 1 tablespoon ground ginger. Cover jar and shake. Mix 1 teaspoon go powdered mixture with 1 cup of warm milk (of choice). This entry was posted in Healthy Drink Recipes, Inspiration, Nutrition Tips and tagged Almond Milk, Arthritis, Black Pepper, Cancer, Coconut Milk, Ginger, Heartburn, Indigestion, inflammation, Joint Pain, Raw Honey, Sleep, Turmeric, Type 2 Diabetes. Bookmark the permalink.